John Woo’s movies were my first and second memory of Hong Kong film, although the reactions I experienced in these two encounters were utterly different. In first experience, which occurred when I was barely a teenager, my older and much hipper brother suggested I watch "The Killer", which he had probably heard about through other movie buffs as its international acclaim had just begun. As an Asian American who was hypersensitive about ethnic difference or anything that seemed to uphold stereotypes of oriental inscrutability, I was not ready for a movie whose aesthetics and cultural references seemed so different from my youthful Hollywood-dominated film experiences. During "The Killer", I recoiled at the overwrought emotionalism of the movie's slow-motion sequences and operatic orchestration, squirmed during the male camaraderie and scoffed at the seemingly impossible action. This action imagery was nothing like that of Harrison Ford or Mel Gibson, the two Hollywood heartthrobs the teenage me was then in love with, and because I wasn't yet allowed to watch "Miami Vice" I completely missed its borrowings from the popular American television series in the movie's glamorously moody images of a well-dressed assassin living alone in well appointed modern apartment. Instead, I wrote it off "The Killer" as an awkward, rather embarrassing glimpse into a film style uncomfortably close to the stereotypes of hopelessly uncool Asian men common in American media and popular culture. Thus it was not until my second John Woo encounter, nearly a decade later, that I "got" his films, as during graduate school I served as a teaching assistant for an undergraduate class on Hong Kong film. The first movie in the course was "Hard Boiled", another actioner starring Woo's alter ego, Chow Yun-fat, the local icon I first met in "The Killer" – but unlike that first experience, this time my encounter with Woo was truly transcendent. I remember my jaw dropping open and the pencil slipping from my fingers as I was transfixed by the movie's pounding opening action sequence, as well as Chow's aplomb, equally at home with a rocket launcher as with a babe in arms. By the end of the two-hour plus movie, I was in love-not just with Chow, who was now totally rewriting my notions of Asian masculinity-but also with John Woo, whose vision of film action I had come to appreciate for its unprecedented, singular contribution to a genre and film tradition that was otherwise inextricable with white Hollywood stars and talent. The six movies selected for this retrospective can be usefully understood through my two very different responses described above. "Hard Boiled" and "The Killer" may be among Woo's most critically acclaimed films, respectively, but all of the urban action movies included in this series-which includes "A Better Tomorrow," "Once a Thief," and "Bullet in the Head" – also are distinguished by elaborately choreographed action whose stylizations are best understood as an idiosyncratic vision fusing a wide variety of local and global influences. The diversity of Woo's artistic palette ranges from fields and traditions as varied as Chinese martial arts film, Hollywood musicals, slapstick comedy and the French New Wave, and were the reason for both my initial repugnance to his movies as well as my subsequent admiration. Although it has taken me years of scholarly study to recognize and appreciate how Woo binds modern settings and seemingly familiar genres and conventions to a wide range of other local and imported influences and precedents, my appreciation of the six movies in this series has only grown as I have come to understand how they use the prism of world cinema to refract the director's long-running interest in brotherhood, loyalty, compassion and sacrifice. The most obvious and yet least understand aspect of Woo's legendary action films from the mid-1980s through the mid-1990s is its representation of heroism, which became known locally as yingxiong pian or "hero film," and in the west was often referenced under somewhat similar terms as "heroic bloodshed" movies. As the name suggests, Woo's hero films are distinguished from conventional actioners by the extraordinary romanticism with which the protagonists and their violent actions are imbued. Examples of this evocatively chivalric heroism include the protagonists' frequent protection of innocents, strong and often sacrificial bonds between men, an overall depiction as a graceful, self-reliant loner (invariably incarnated by tall, handsome, suave Chow Yun-fat) whose noble carriage, superior skills, and adherence to a strict personal moral code bespeaks a person superior to most ordinary mortals. Within individual movies themselves this quality is portrayed in scenes such as the assassin's protection of the child and blind singer in The Killer, Mark's upbraiding of the ungrateful Kit in "A Better Tomorrow," and a plot revelation near the end of "Once a Thief" that reveals the extent to which Chow's character sacrifices for the lesser individuals for whom he cares. Like smaller details within these films – such as the white scarf that the blind singer treasures from her benefactor in "The Killer," the effortless bravado with which Mark accomplishes a hit early in "A Better Tomorrow," or the atmospheric scenes in Hard Boiled of the titular cop passing his free time by playing sax in a jazz club – these images present charismatic heroes memorable both for their accomplished weaponized action and their stringent personal moral code. The traditional Chinese martial arts film genre known as wuxia is an important precedent for this highly moral and romantic heroism in Woo's oeuvre. Referring to the supremely skilled swordmen who roam a mythical landscape in classical Chinese literature, wuxia films were some of the earliest and most distinctly uniquely "Chinese" film genres and central to the early vitality of Hong Kong cinema throughout the 1950s and 1960s. Woo himself got his start in the local industry by working at the fabled Shaw Brothers studio when he apprenticed under the legendary wuxia director, Chang Cheh, whose films include the celebrated swordsman movies "The Magnificent Trio", "The One-Armed Swordsman" and "Golden Swallow", and in watching Woo's own subsequent films its hard to ignore the extent to which they bear qualities attributable to Chang or the wuixa tradition in general. A few years before "A Better Tomorrow", for example, Woo helmed a contemporary war movie whose title, Heroes Shed No Tears, was exactly the same as a wuxia film a few years earlier starring established wuxia stars Fu Sheng, Ku Feng, and Yueh Hua. Although Woo's film about anti-narcotics efforts in the Golden Triangle was full of pytrotechnics and had no obvious relation to the fantasized classicism of traditional wuxia, the later film nevertheless recycled the same title to highlight Woo's similar interest in the unrelenting moral rectitude of talented warriors, and clearly was a precedent to Woo's casting of Ti Lung, previously best known as a Shaw wuxia star, as the moral core of "A Better Tomorrow". Similarly, in "Last Hurrah for Chivalry" (1979) – a film whose English title explicitly announces its relation to the genre – we see Woo updating elements of the wuxia tradition by grafting onto its period trappings and moral-based plot action a somewhat modern or progressive plot presenting a young laborer and mercenary as two fighters morally and physically superior to the aristocratic who depends upon them. To further recover Woo's borrowings from the wuxia tradition in which he apprenticed, the intense violence and strong social bonds within Woo's hero movies might be directly identified with Chang Cheh, although that specific attribution also underscores the many other influences from which Woo draws as well. Chang himself was adept in such generic evolutions, continuing to helm films throughout the industry's shift from wuxia to kung fu, and even directing contemporary crime dramas like "Police Force" (1973). His films are often credited with introducing a new standard of masculinity into traditional wuxia genre that some had come to see as effete and discrepantly promotional of female stars. 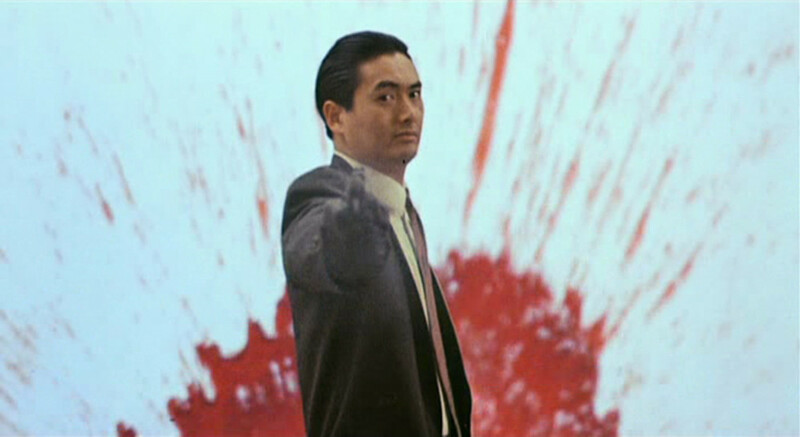 For example, in movies like "The One-Armed Swordsman" – whose graphic imagery includes the titular dismemberment as well as a moment late in the film where blood spatter stains the camera lens – we see a precedent for Woo's unflinching violence, both in the general sense that Chang helped usher into Hong Kong cinema a more graphic level of screen violence to which Woo belongs and more specifically in the sense that Chang prefigured Woo's tendency to make blood spatter heroic. The hero film's halo of blood: Chow Yun-fat in "The Killer"
Of course, this iconic image from "The Killer" also surely owes much to Bond movies, which during Woo's youth had been very popular in Hong Kong and thus also hints at the generic, historical and multicultural range of influences within Woo's films. In addition to obvious elements of choreographed action and classical moralism that Woo's films adapt from wuxia, other aspects of Woo's urban hero films also include more obviously modern and contemporary details, such as the gangster plots, modern weaponry, and cosmopolitan urbanity, as well as generically specific elements such as the double-barrel gun-blasting assaults deemed a Woo signature but clearly originating in Hollywood westerns. As glimpses into Woo's wide range of cinematic influences, these various elements hint at a polyglot range of film references vulnerable to being misunderstood but instead is at the heart of his genius. For example, in addition to Change Cheh another directorial influence whom Woo often visually and explicitly cites is notorious Hollywood maestro of screen violence, Sam Peckinpah, whose landmark movies like "The Wild Bunch" (1969) and "Straw Dogs" (1971) are precedents to Woo's own thematic and artistic motifs of slow motion, often graphically violent climactic action sequences as well a pervasive sense of protagonists falling victim to a world that no longer honors their moral code. One important example of Woo's referential hybridity and the many different manifestations by which his hero films blend aspects of both European and Chinese, eastern and western film traditions is his relationship with the French New Wave. Woo has often cited French filmmaker Jean-Pierre Melville as a major influence, visible in the stylish trench coats and sunglasses ported by his gangster protagonists and which Woo deploys in imitation of the style of Melville's atmospheric noirs "Le Samouraï" and "Le Cercle Rouge." A similar Francophilia seems to motivate Woo's light-hearted romance, Once as Thief, whose European setting and whimsical love triangle recalls Francois Truffaut's "Jules and Jim," and presumably expresses the filmmaker's artistic aspirations for global artistic recognition beyond that of simply a regional filmmaker. Yet although it is true that Woo was from his youth was a voracious filmgoer active in the cine-clubs then influential among Hong Kong artistic and intellectual generation during the mid-1960s, it is also significant that even this reference to Europe and French filmmaking are already complicated with multiple associations, including particularly America and Hollywood. With its sun-kissed locations and jewel-toned palette, "Once a Thief's" caper plot and evident pleasure in France as an exotic location are also clearly borrowed from Hitchcock's "To Catch a Thief," a homage apparent in the English title for Woo's film. Similarly, with regard to Melville (whose own surname was borrowed from the American author), the very gangster subgenre that he shared with Woo is preeminently associated with Hollywood, and that in "The Samouraï" Melville chooses a title whose explicit allusion to Japanese swordsman traditions both bespeaks Melville's own multi-cultural borrowings as well as anticipates Woo's transpacific east-west cinematic fusion. Woo's love letter to Hollywood caper movies and the French New Wave in "Once a Thief". Another culturally complicated motif distinct within Woo's hero movies are the occasional religious images, often in highly memorable scenes involving slow-motion violence and fluttering doves. In "The Killer," for example, assassins meet in a Christian chapel, suggesting both their cosmopolitanism and their inherent honor, while also yoking violence with faith and religious sanctuary in shocking images that ultimately will become the backdrop for the movie's climatic gun battle. Woo himself attended missionary schools as a child and does not shrink from interpretations that highlight the seeming Christian and western inclinations of these gestures, but as with his transformations of wuxia via French and American noir to categorize the doves, churches, and statues of Mary Magdalene as solely Christian or western inspirations in Woo's cinema is also to overlook how those images cooperate with existing Chinese cinematic traditions that Woo's films also invoke. The jianghu, for example, is a conventional means of conceptualizing space in traditional wuxia films. Denoting an abstract physical space outside of urban and institutional society, the jianghu is a nonspecific landscape in which the chivalric quests of wuxia heroes unfold. Similarly, in Woo's hero films, although the movie's settings are always recognizably urban and modern, the heightened emotionalism and clear moral drama that gives the movies their aforementioned overall chivalric quality also makes the religious and Christian imagery elements of a more general motif of sanctuary or spiritual retreat typical of wuxia quests. In "Last Hurrah for Chivalry," for example, an important scene occurs during the funeral rites of a traditional Buddhist ceremony, when a young hero's mourning of his recently deceased mother is interrupted by the villain's intrusion. This is not that different from the imagery in "The Killer" – or, for that matter, a similar passage in "Heroes Shed No Tears," which takes place at a bamboo pavilion inhabited by an American military deserter who practices Buddhist spiritual meditation while draped in grenades before a Christian cross. Thus throughout Woo's various depictions of spiritual and divine imagery, the eclectic and often highly specific invocations of religious practice are both general reminders of his artistic eclecticism as well as relatively interchangeable components of his overall concern with in moral heroism. Yet another aspect of Woo's style that can be confusing to those unfamiliar with Hong Kong film is its occasional moments of humor, which often takes the form of physical comedy, full of slapstick pratfalls and mugging such as light moments surrounding the Kit's clumsy girlfriend in "A Better Tomorrow" or "Once a Thief's" final images of a domesticated Chow Yu-fat. For western viewers used to Hollywood traditions of stoic heroism or wisecracking one liners, this willingness to present the protagonist in patently unserious and even ridiculous moments can be off-putting, often disparaged by online commentators as embarrassing and tasteless. Yet physical comedy and the more genre mashup of action comedy have been important components of Hong Kong film since Jackie Chan's emergence in the mid-1970s, and it is a cinematic tradition in which Woo is well versed, having collaborated with Chan in such "The Young Dragons" (1975) and "The Hand of Death" (1976), two kung fu films early in both men's careers, as well as helming or being involved with a number of highly successful comedies before is global association with action. In 1976, for example, Woo served as assistant director on "The Private Eyes," a movie written, directed by and starring beloved local comedian Michael Hui, which would become the year's top grossing film. As a result of that film's success, Woo was appointed the next year to direct "The Pilferer's Progress," a comedy starring Michael Hui's brother and occasional co-star, Ricky Hui, and although the latter was clearly contrived as an imitation of Michael Hui's comedy Woo also injected into his own film aspects of the elaborate action choreography for which he would soon become famed. Many of Woo's comedies are characterized by this seemingly incongruous mix of easily legible action and culturally specific comedy. To Hell with the "Devil" (1982), for example, is a supernatural parody about the battle for a man's soul whose climatic action set piece between good and evil angels is a staged and shot as a videogame. Similarly, "Plain Jane to the Rescue" (1982), the third installment in a very popular series of films based on a television character played by local sweetheart Josephine Siao, blends socially-pointed imagery of public protest with an elaborate and sustained car chase sequence around Hong Kong's famous cross-harbor tunnel. Neither of these films resemble the slow-motion romanticism of Woo's hero films, but that's precisely the point. In the wake of Woo's international celebrity through his hero movies, it has become common to retrospectively look back at his earlier films only for such hints of the action staging for which he would subsequently become famed, but to misleadingly apply such reductive or rigid notions of generic propriety typical of Hollywood is to miss Hong Kong cinema's long practice of fusing bathos and pathos and which Woo develops to an unusual degree. "Laughing Times" (1980), for example, which is another of Woo's comedies before the hero films, explicitly remakes Charlie Chaplin's famous movie, "The Kid," with popular local comic actor Dean Shek sporting the Tramp's iconic derby and cane. True to the Hollywood original's bittersweet depiction of Depression era survival, Woo's film is almost unbearable in its stark depiction of suffering, as a key scene in the film shows the starving protagonist and his young companion volunteering to be hit with pies during a fair. Shot in slow motion and accompanied by heartrending music that underscores the contrast between their assailants' revelry and the protagonists' desperation, the scene is – like the cream pies in the scene itself – a cloying concoction of comedy and mortification that leaves viewers profoundly moved. Given the diversity of Woo's tastes and productions such an account of his many generic influences and transformation can be endless, but my point here is how the simultaneous diversity and clarity of his images can be both a challenge to appreciating his films' greatest attraction. Cultural critics and commentators often speak about "orientalism," a concept that literary scholar Edward Said described as a tendency within western culture to imbue Asian subjects with reductive familiarity, simultaneously presuming total understanding of foreign culture while reacting within existing stereotype and preexisting assumptions. Western reception of Hong Kong film has always been plagued by orientalism, and as one of the cinema's most visible auteurs Woo has both suffered and benefited from that tendency. Because of their evident place within action, the world's most exportable film genre, Woo's movies and particularly the "hero" films included in this series were initially able to cross the Pacific presumably due to their familiarity. Yet just as it is easy to be enthralled by Woo's high octane action choreography, with its double-barreled gunfights and high intensity cinematography easily fitting alongside a Hollywood-dominated canon of cinematic action ranging from Peckinpah to Scorsese, it is equally as likely that a viewer attracted to that film language will be confused or turned off by interruptions and departures from that familiar idiom. Woo's oft-discussed slow-motion gazes between men during otherwise relentless action sequences are one example of this controversy, but it is also apparent in the musical montages that Woo invariably uses to sustain tension within action. 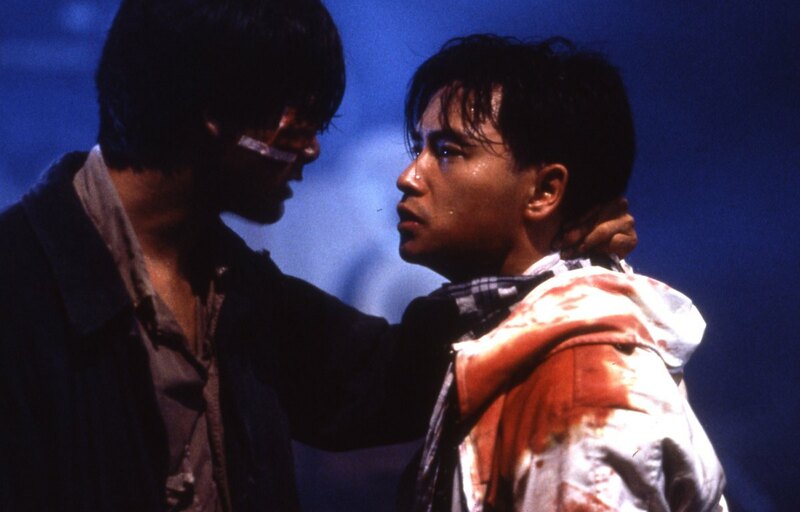 "A Better Tomorrow" and "The Killer," for example, both include sustained scenes of singing, common in local film of the era, and motivated particularly in these two movies including popular local singers (Leslie Cheung and Sally Yeh) as co-stars. Yet because in my first viewing I recognized the movies only within the genre of action, I disparaged any deviation from those associations. To my young and inexperienced eyes those moments seemed unforgivably corny, and I wrote off those incongruities as awkward foreignness rather than appreciating them for their ingenious transformations. Indeed, my conversion to Woo through "Hard Boiled" is equally illustrative of American prejudices and ethnic self-consciousness. Although I did not know it at the time, "Hard Boiled" was widely regarded as Woo's calling card for Hollywood, in which the now celebrated Hong Kong filmmaker took advantage of global interest in his action virtuosity as well as the widespread talent flight from Hong Kong to Hollywood at this moment in the last years before the 1997 reversion of Hong Kong to China to fashion a spectacle that could persuade Hollywood studio heads that he could offer a fresh perspective within the industry's single most lucrative genre. 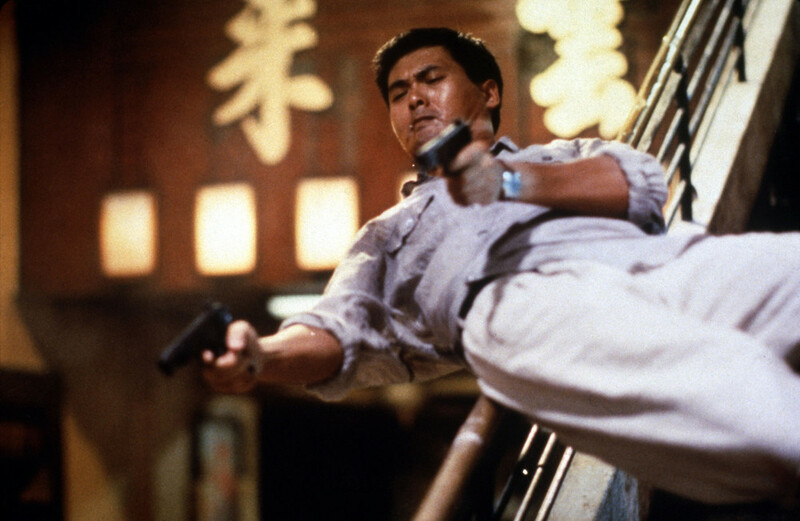 "Hard Boiled's" relentless, pounding two-hour-plus runtime is part of its pretensions to Hollywood seriousness, as it departs from the 90 minutes by which most movies wrap up in hyperefficient Hong Kong, but it also is evident in the qualities that I responded to, such as the innumerable low angle shots of denim-clad Chow Yun-fat imperturbably chewing a toothpick while readying a rocket launcher or semi-automatic weapon for an heroic assault. Like major Hollywood actioners such as "Lethal Weapon 3" (1992) – whose hero sports a similar denim and chambray outfit through most of the film – or "Die Hard" (1988) – which similarly pits a jaded plainclothes cop against a mass hostage situation, "Hard Boiled" enthralled me with its seemingly familiar image of a strong, masculine hero. Closer in my eyes to these Hollywood movies that the hyperemotional romanticism of "The Killer," "Hard Boiled" captivated me with high octane action theatrics built around a Asian man whose like I had never before seen on screen. Readying himself for Hollywood, Woo brings the big guns in "Hard Boiled". The subsequent years of my critical development as a film scholar has been a process of unpacking these responses, disentangling my initial impulses to read Woo's films only the context of action and instead pausing long enough to recognize the rich and very diverse range of influences and references actually at work within his signature style. 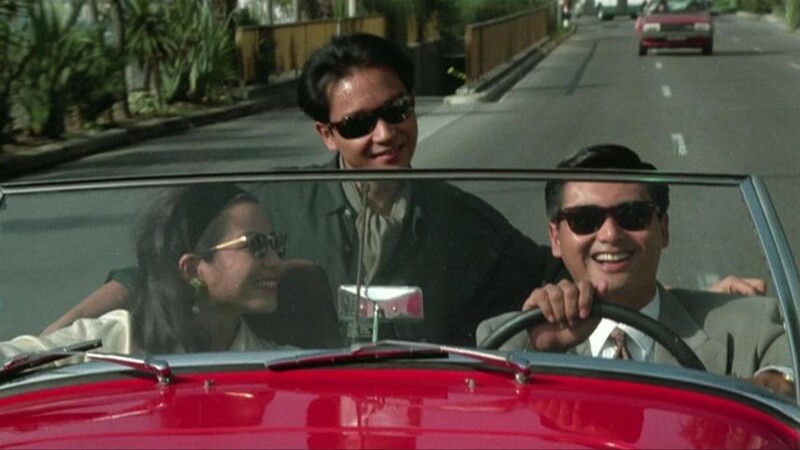 "A Better Tomorrow," the film that immortalized him and Chow Yun-fat as one of world cinema's great artistic pairings, is instrumental in helping to redirect viewers to a more contextualized engagement with Woo's films, as the movie – actually a remake of an influential 60s-era local social realism film, Story of a Discharged Prisoner – had always been greater than that of festival circuit darling, "The Killer." "Bullet in the Head" should likewise be recognized for is ambition and scope, as the movie expropriates aspects clearly borrowed from Hollywood movies like "The Deer Hunter" to convey a distinctly local experience of Vietnam-era history. Thus while the naïve, Hollywood-focused me once had-like many Woo fans who come to the films through "A Better Tomorrow" and "The Killer" – seen those borrowings as belated and somewhat incongruous pretensions to Hollywood prestige, I've since learned to appreciate the film for scenes such as the dance contest that devolves into a gang fight. Such a sequence in "Bullet in the Head" is both an affectionate glimpse of the optimism and energy of mid-60s Hong Kong as well as a moment exemplifying in microcosm the aesthetic and generic range of this most visionary of Hong Kong directors. At this point now into Woo's fourth decade of international acclaim, the hero films by which he became globally recognized are well known for placing a fundamentally old-fashioned morality drawn from wuxia within the modern trappings of gangsters and urban crime to express a lament regarding the passing times. Less commonly recognized, however, is that the aesthetic hybridity typical of Woo's most famous films reflects the vast variety of different film genres and traditions he has referenced over the course of his long career, and that the combination in his films of seemingly transparent global genres with other more esoteric tastes and influences is central to both his accessibility and the challenges posed by his singular artistic vision. Indeed, although it has not been my purpose here to address movies Woo went on to make after the hero films featured in this series, such challenges continue to shape the reception of Woo's later work, including the American productions the director undertook during his temporary sojourn in Hollywood as well as the opulent wuxia revival films that the director now specializes in as part of China's emergence as a major global film market. In both cases, Woo's movies have produced a variety of conflicted and ambiguous responses, in which critics and fans who came to the director through the hero films reject or condemn his later works by a holding the films to a Procrustean comparison with the works of his middle career. Yet by thus subjecting such diverse movies as "Red Cliff," "Hard Target," "Broken Arrow" and "Face/Off" to a stringent understanding of a subgenre that was itself originally a blend of idiosyncratic references, these reactions miss the ways that these movies continue to update for new audiences and contexts the aesthetic and thematic concerns that have guided Woo throughout his career. Karen Fang is the author of "John Woo's A Better Tomorrow" (Hong Kong University Press 2004), as well as the forthcoming volume "Arresting Cinema: Surveillance in Hong Kong Film" (Stanford University Press, 2016).